and gracefully docks, allowing eager Camper Vanners, Japanese tourists and some locals to disembark and begin their vacations or to simply ‘head home’. 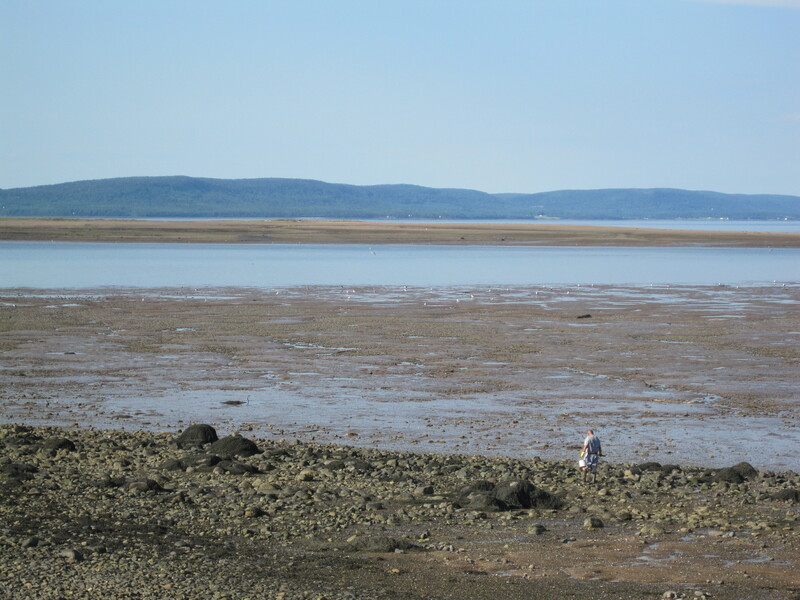 The 3-hour crossing has been uneventful, other than a possible breach sighting of some whales as we approach the Digby Neck. 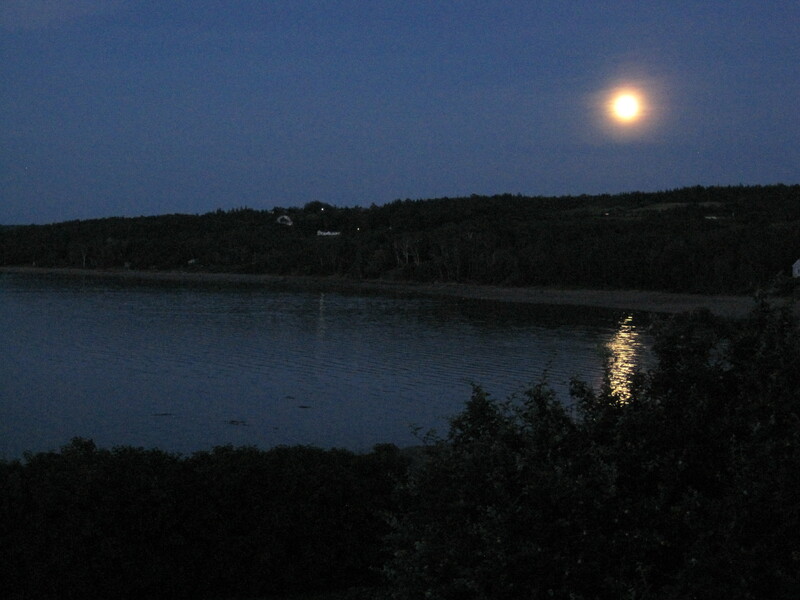 Nestled between South Mountain and the Bay of Fundy lies the fertile Annapolis Valley, Nova Scotia’s farming center and we have 5 days of touring the Annapolis Basin planned including some family time, some great meals and cocktails on sunset decks, watching the clammers clamber over the low-tide mud and a slowly rising full moon, begging to be howled at. A Full Moon Fit to be Howled At! 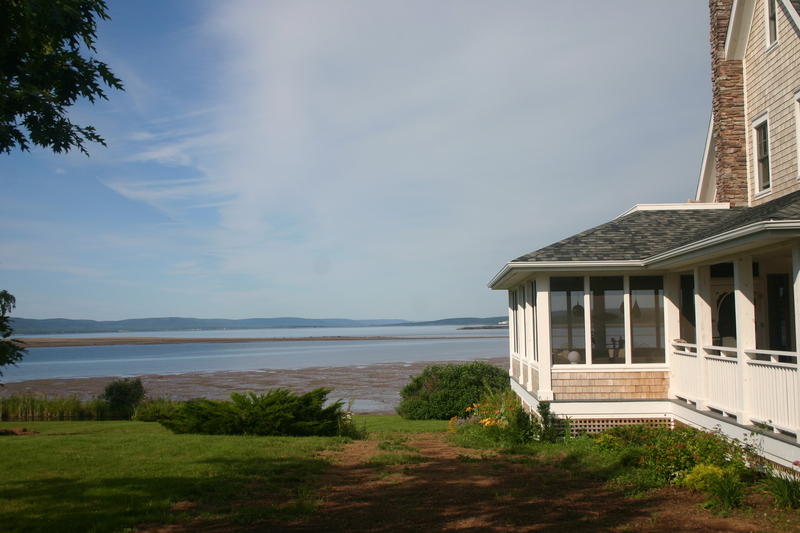 The lovely and tranquil village of Smith’s Cove will be our base for our day trips over the next 5 days and our front porch view of the renowned Bay of Fundy Tides is indeed spectacular. Our Porch View, Cocktails in Hand! Arriving early afternoon and just down the lane from the popular Harbourview Inn, we indulge in a number of welcoming brown pops with John’s Cousin Jim and his lovely wife Joanne on the make-shift patio of their Ontario transported Airstream trailer. 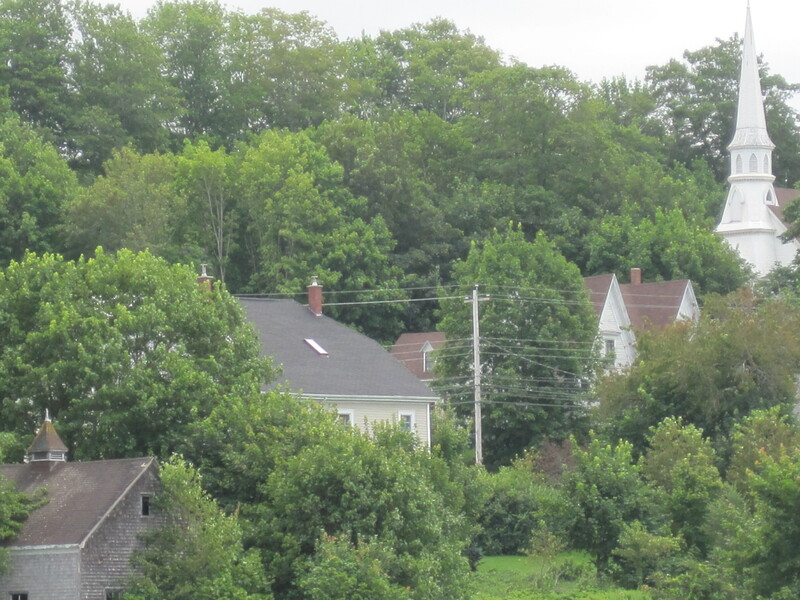 Currently inhabited by a local legend, handy man and stone wall builder who is working on a number of projects on Jim and Joanne’s’ newly finished and beautiful Smith’s Cove House, we receive a true Nova Scotia welcome! 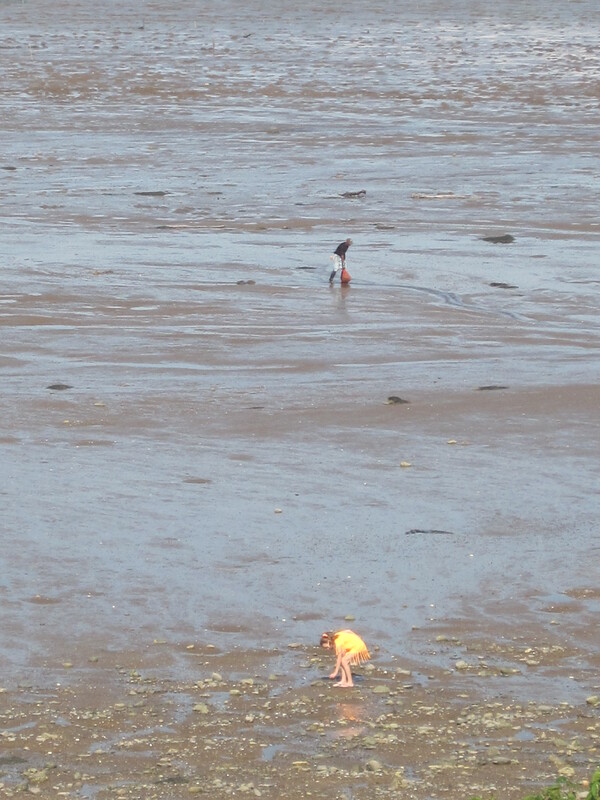 Low tide brings out the clammers and the odd traipser, dog in tow, the happy clammers raking and digging for their spitting treasures that they sell to local restaurants and fish stalls. 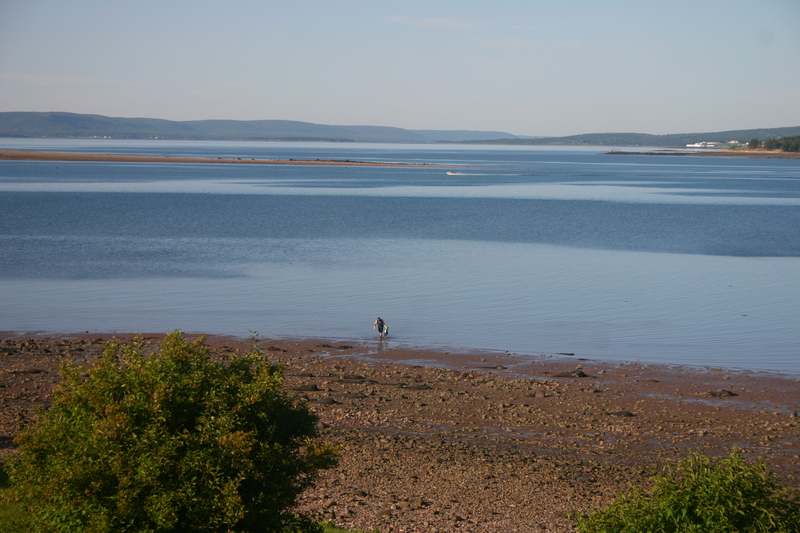 Digby is famous for its Scallops but if you wander off the beaten path and get to know the locals, you may soon forget those famous scallops for a more familiar, down-home approach to the town. Start your easy stroll with a stop into owner, buyer, wrapper, ‘the everything at the bookstore’, Bill and Bernice Schrank’s Crooked Timber Book Store where you can spend an easy hour (at least) browsing the over 17,000 titles on their shelves for everything from Balzac to the Beatles and if you ask Bernice nicely, peruse the additional 40,000 titles they have in storage. Says Bernice: ‘our stock is generalist, but we do have significant holdings in Irish literature and history, Jewish studies, American and British literature, economics and mysteries. We have an on-going interest in expanding our holdings of maritime books and in particular books about Nova Scotia.’ My take away purchase is the 1940’s Herald Tribune ‘Home Institute Cook Book’ whose preface read: “Family security, as well as national security, results from good management of meals”. Indeed! 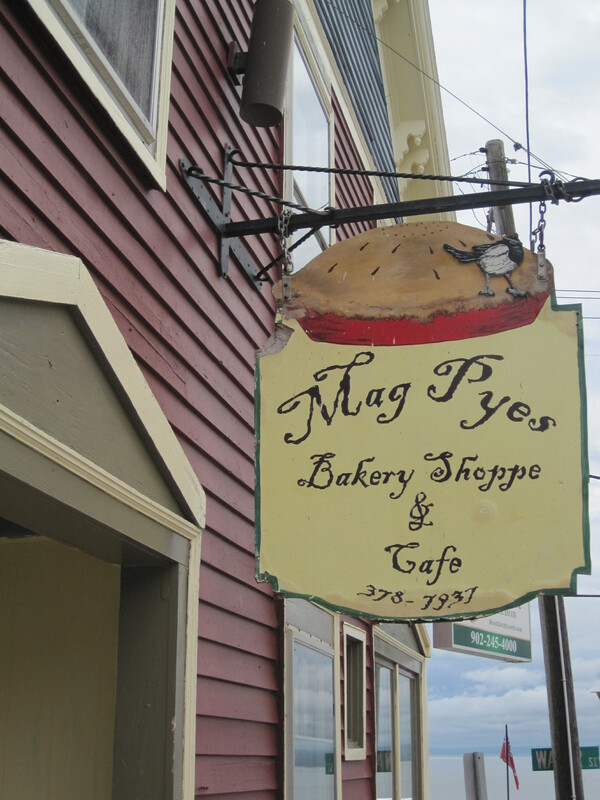 Lunch is at the no-fuss Mag Pyes Bakery Shoppe and Cafe where if you get talking to cook, owner, waitress, baker and maitre d’, Magaret Gray, you are in for some down home banter with a wink and a nod towards the saucy. We felt immediately at home. In between running the Holdworth House Bed and Breakfast and serving Breakfast and Lunch every day, Magaret and Husband Tony Nadeau were celebrating their wedding anniversary on the day we arrived for lunch and the many ‘friends of’ congratulatory cards and flowers were proudly displayed for all to see. 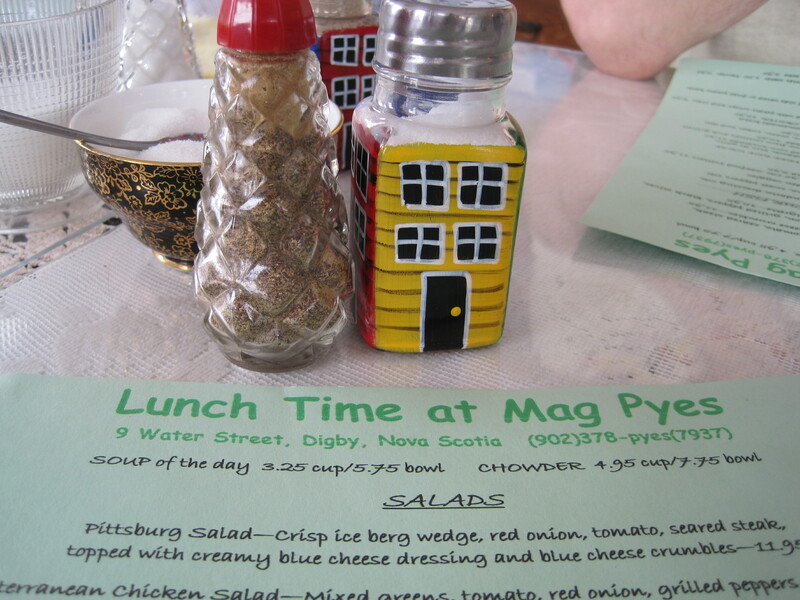 Mag Pyes has also added a BYOB, 3-course Dinner Thursday to Saturday evening. Book early is my advice. My Fresh Haddock, lightly breaded and fried, served with some iceberg lettuce and two rounds of tomatoes was the perfect reminder of the homey, filling food my mother used to serve to us. Magaret’s side of homemade coleslaw had an unconventional kick to it that served as a reminder of Magaret’s culinary expertise and skill. I ask for seconds and Magaret quickly brings me another, overflowing helping. John eagerly tucks into some of those Famous Scallops, (the first of the trip), perfectly seared and served with a simple garnish. Jim and Joanne indulge in the Haddock Fish Tacos, again served with a simple garnish of potato chips and those ever-present tomato slices. Simple, homey food with a Magaret spin to it. 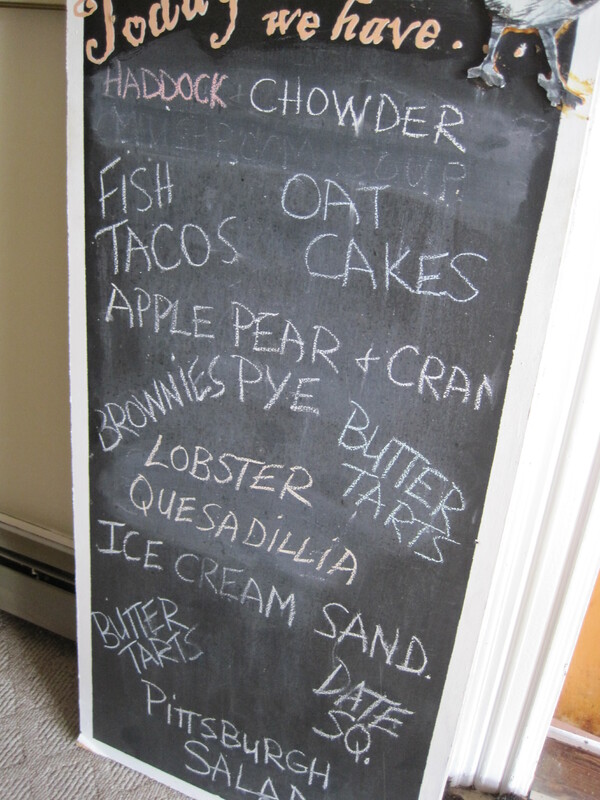 And as always in Nova Scotia, leave room for dessert: Magaret’s Home-made Ice Cream Sandwich is to die for. Also, check out her daily baked-goods case for something sweet to finish your meal with. 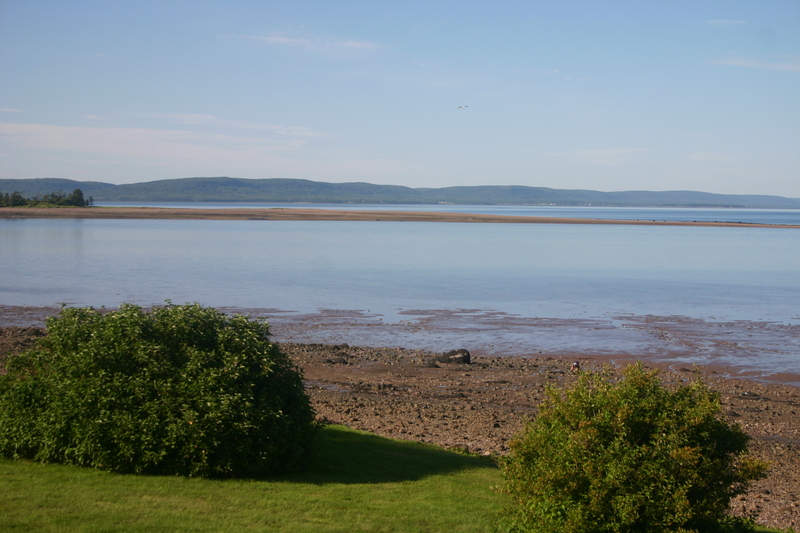 On the way to Annapolis Royal, stop in ‘the tidal village on stilts’ Bear River and support the many Artisans of this quaint tidal village of 800 that straddles the dynamic tidal Bear River. In particular, we spend a good hour gabbing with Don Rice at his Wild Rice Pottery Studio, talking all things glazes and slips and firing. 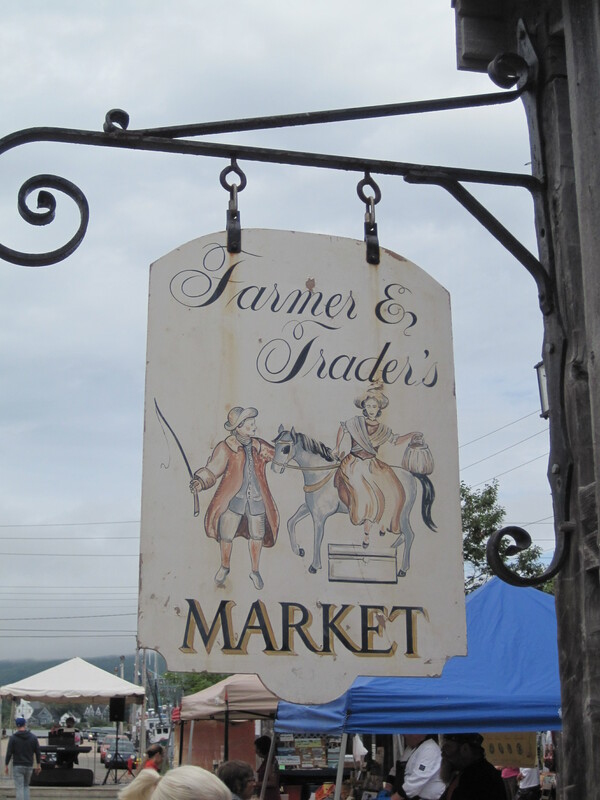 Don also sells his beautiful pottery Saturday mornings at the Annapolis Royal Farmers’ and Traders’ Market. Continuing on our way we make a mid-morning stop to see Leslie in his Moose River Rug Hooking Studio for some beautiful hand-hooked Nova Scotian Rugs and Wall Hangings. The studio also sells locally designed and hooked rugs of all sizes and designs and offers classes and rug hooking supplies. Most of all, the studio is a place where everyone is welcome and leaves feeling inspired. Welcomed and inspired we were! Be prepared to be invited to a local ‘hook-in’! 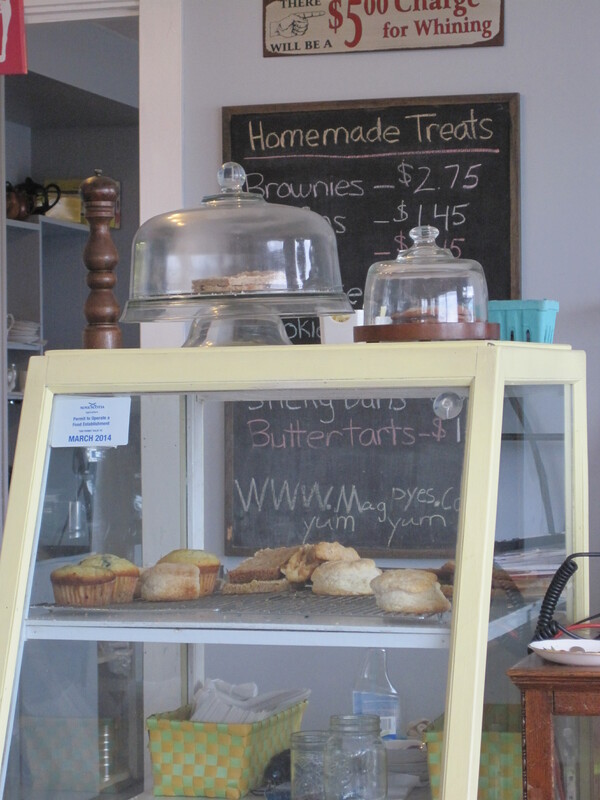 We stop for a late lunch at Annapolis’ Bistro East, an easy going, bustling lunch and dinner place located on St George street offering fairly traditional steak, seafood, pizza and pasta served up with an infectious and ever-smiling staff, showcasing local Annapolis Royal food and Art. My gluten-free, seasonal Pizza Margherita, was perfectly paired with a locally-brewed pulled beer. 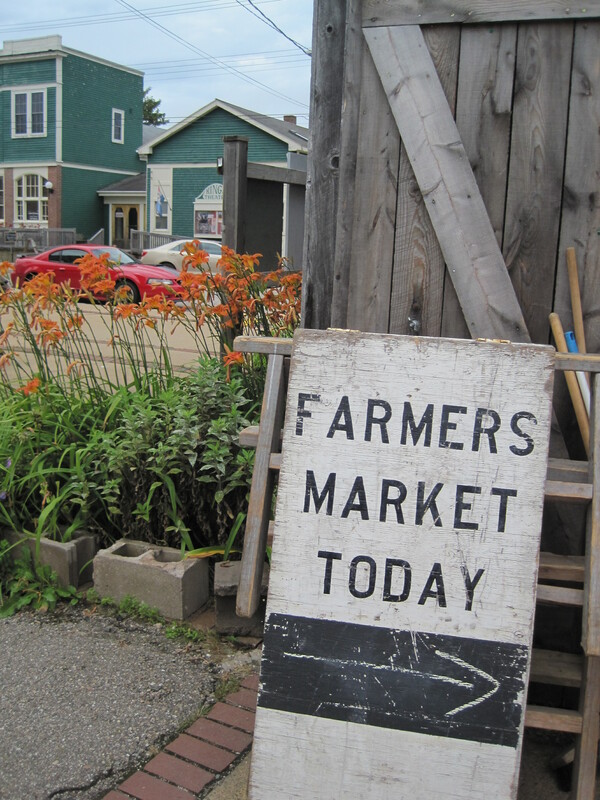 We are all set for a post-lunch amble through the Annapolis Royal Farmers’ and Traders’ Market. Grab anything from local fruit & vegetables, herbs, soaps, cheese, flowers, seafood, honey,wine, local farm meat & poultry, second hand paperbacks, hand-crafted wood products (we purchased 3 handcrafted artisan cutting boards) to local pottery, antiques, bric a brac, and of course jams, jellies, preserves and for those of you biking, on-site bicycle repair technician! Of course, all the stalls are filled with a welcoming Nova Scotian smile. Just up the street, Cindy and Tom welcome shoppers to their South-Asian inspired Far-Fetched Antiques and Art Gallery. Centrally located in the Ol’ Newman’s building, you can browse Balinese furniture, buy a gong or singing bowl, and enjoy this relaxed, softly smiling, zen of a store. Don’t miss the secluded garden which features stone and metal garden statuary, and of course the authentic Tiki Bar. Some great deals to be had as well. For funky retro, 1940’s to 1970’s inspired vintage furniture, dishes, lamps, art, pillows, and accessories poke your head into Mrs. Nicholson Home and get vintage-inspiration for ‘your castle, your camp, your cottage or your condo’! 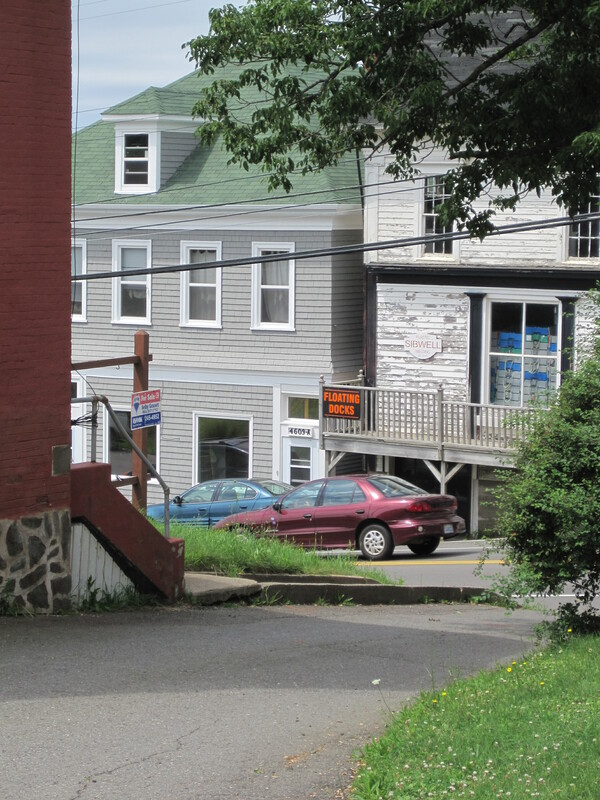 Looking for some history while in historic Annapolis Royal? 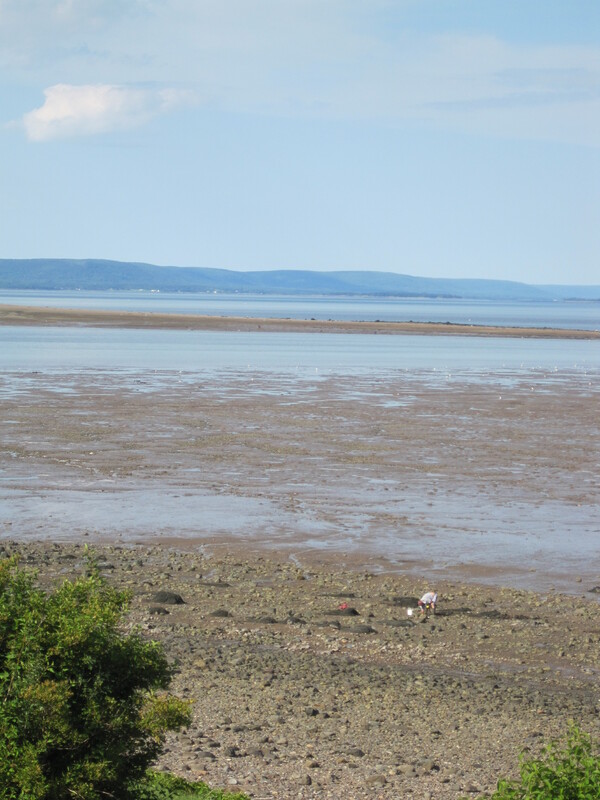 The Fort Anne Historic site offers sweeping views of the beautiful Annapolis Basin from the centre of Annapolis Royal. Museum exhibits highlight the history of the fort and is Canada’s oldest – a present-day reminder of a time when the conflict between Europe’s empire builders was acted out on the shores of the Annapolis River. 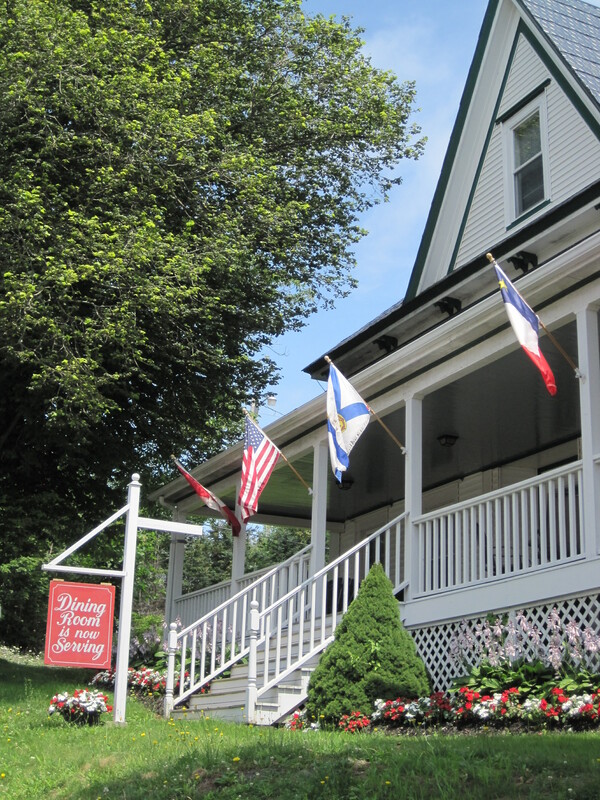 Book a romantic, overnight dinner for two at the beautiful Queen Anne Inn and enjoy the feather bed comfort and Victorian charm of this centrally located B & B. We stop into Flora Hall’s Tradewinds Realty to have a look at the impressive and incredibly reasonable listings available in the area and are immediately met with a smile and handshake. 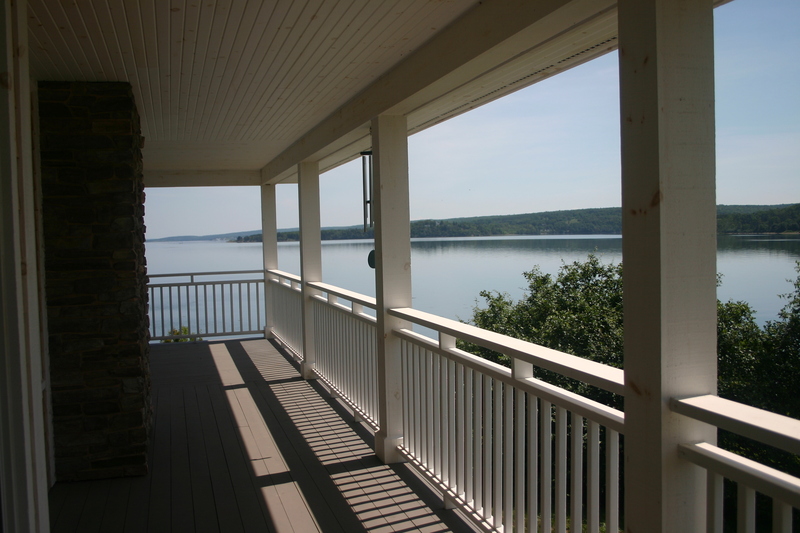 If you are thinking of investing in the area, Flora is the go-to expert for all things real estate. 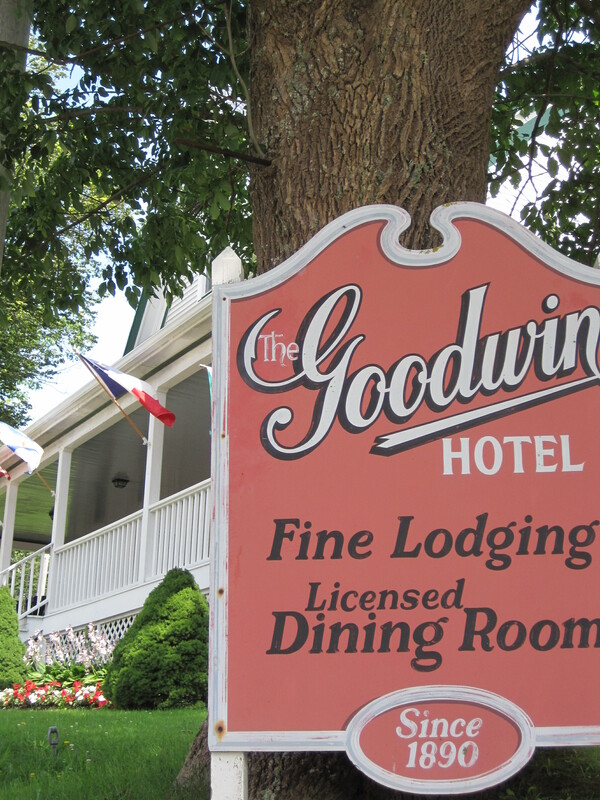 We head south along the Evangeline Trail to French River and the incredibly tiny town of Weymouth and enjoy a wonderful down-home lunch at The Goodwin Hotel. 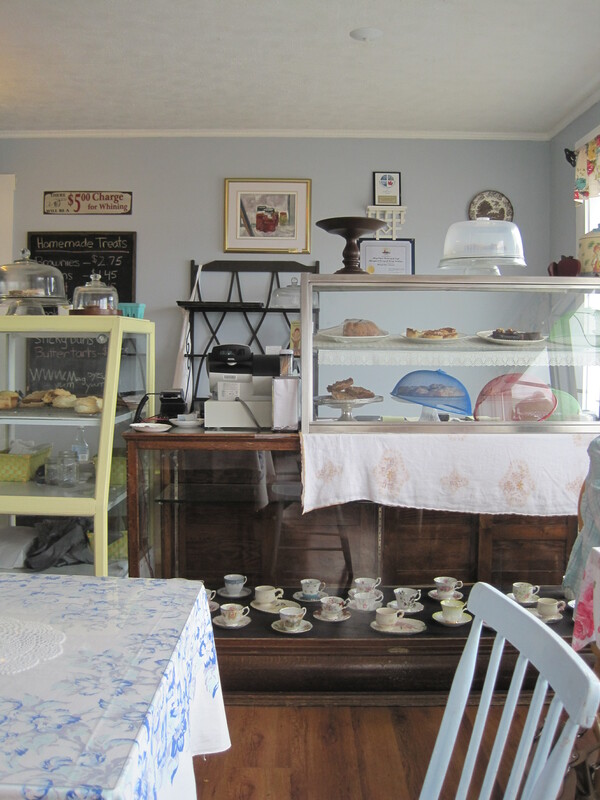 Known for their homemade biscuits, the jovial and chatty owner/operator Pat Comeau spends some enjoyable time over lunch giving us a history of the property, the comings, and goings of the locals and of her ‘recent visit to her sister in Ontario’. I enjoy a Nova Scotia ‘Cobb Salad’ with freshly sliced ham and turkey breast, sliced local tomatoes with an overflowing basket of those famous biscuits, enough for the 6 of us, at table. Our waitress is new on the job and our first order of Schooner Ales is promptly tipped and spilled in our initial welcoming back and forth banter. No problem: Pat comes to the rescue with some wise, carefree words: “Don’t cry over spilled milk” Or beer in this case! 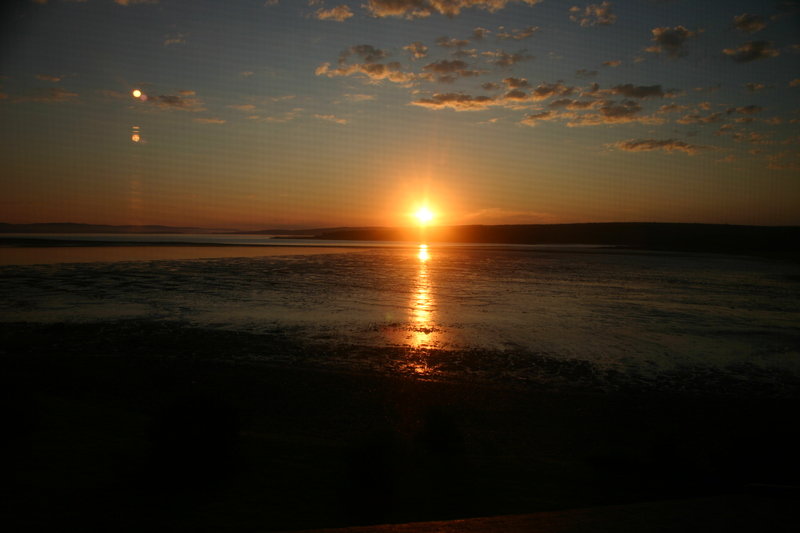 Wyemouth and The Goodwin Hotel `in existence since the 1890’s offering fine food and lodging`. Anywhere you stop during your Coastal Road Explorations, be prepared for a good hour-long gab and catch up with the locals. You’ll be glad you stopped in to say hello! 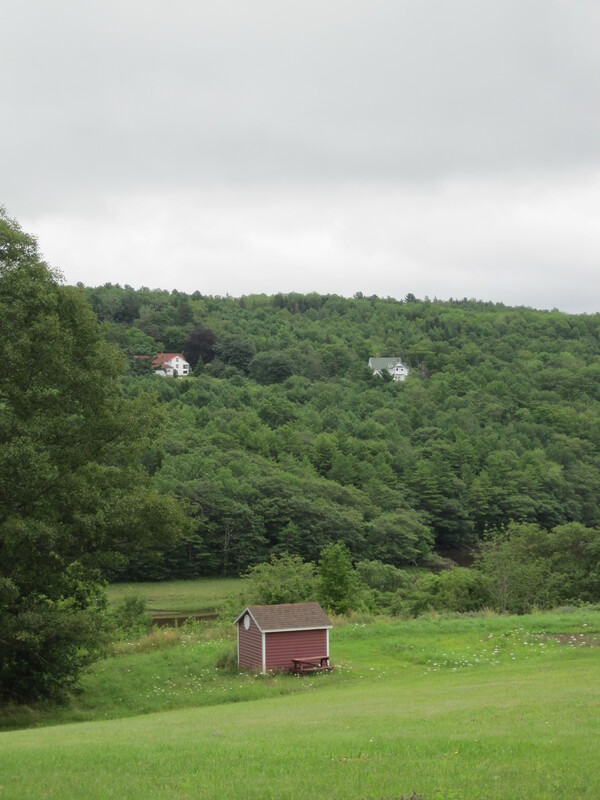 Open Sunday to Friday, 9 am – 5 pm, year ’round. Open June 1st till October 15. Tuesday to Saturday, 10 am to 5 pm. Sunday, 12 to 5 pm. Closed Monday. Nova Scotia Well, My Friends!